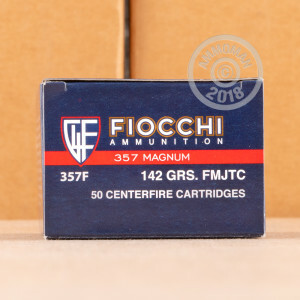 This .357 Magnum ammunition from Fiocchi is an excellent option for low-cost range time with your revolver. Unlike some mild target loads, this ammo fires a medium weight 142 grain full metal jacket bullet at an above-average muzzle velocity of 1,420 feet per second, delivering great accuracy and a significant kick! These cartridges are loaded in Ozark, Missouri using non-corrosive Boxer primers and brass cases. 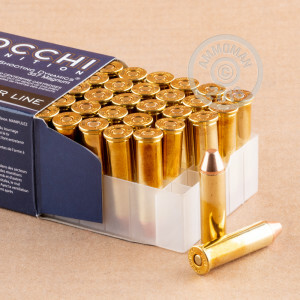 Pick up a few of these 50 round boxes or any items totaling $99 or more at AmmoMan.com to enjoy free shipping!